is my source of hope. When Cameron Townsend founded Wycliffe Bible Translators in 1942, he was committed to telling people the Good News of Jesus Christ by giving them access to the Bible in the language and form they understand best. None of us could have imagined the accelerated expansion and advancement of Bible translation we are experiencing today. Fueled by technology, partnerships and a unified mission with the world’s leading translation organizations, this accelerated growth is deeply encouraging. Bible organizations represented: American Bible Society, Biblica, Deaf Bible Society, Lutheran Bible Translators, Pioneer Bible Translators, Seed Company, SIL International, The Word For The World, United Bible Societies and Wycliffe USA. 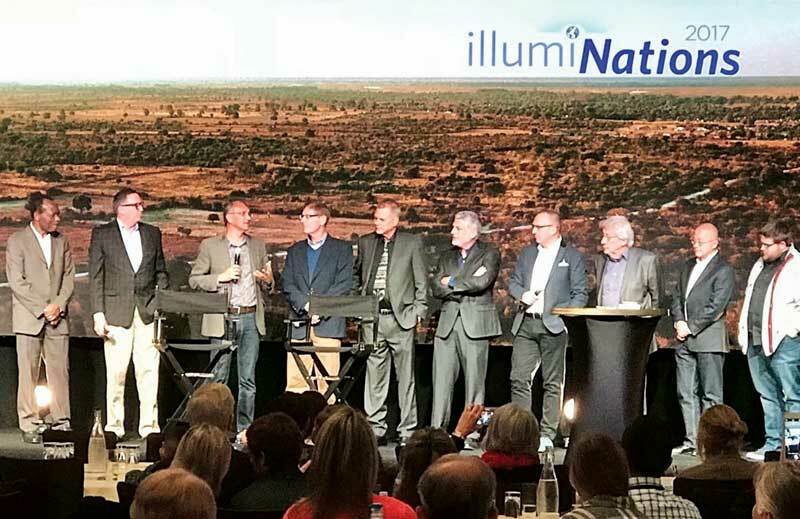 In the photo are leaders from 10 international Bible translation organizations who are currently working around the world to bring God’s Word to every tribe, tongue and nation. They recently came together in Washington, D.C., for a shared vision-building event. Setting aside logos and brands, these organizations displayed their commitment to work together to bring God’s Word to all people. These 10 agencies account for nearly all of the more than 2,500 active worldwide Bible translation projects. Together, we are diligently planning to start the remaining translation projects by the year 2025 so that all people will have access to God’s Word. This collaboration has created even more opportunities for accelerated access to Scripture, for improved quality and for better stewardship of resources. In the following pages you will learn about Wycliffe USA’s contribution to this effort. 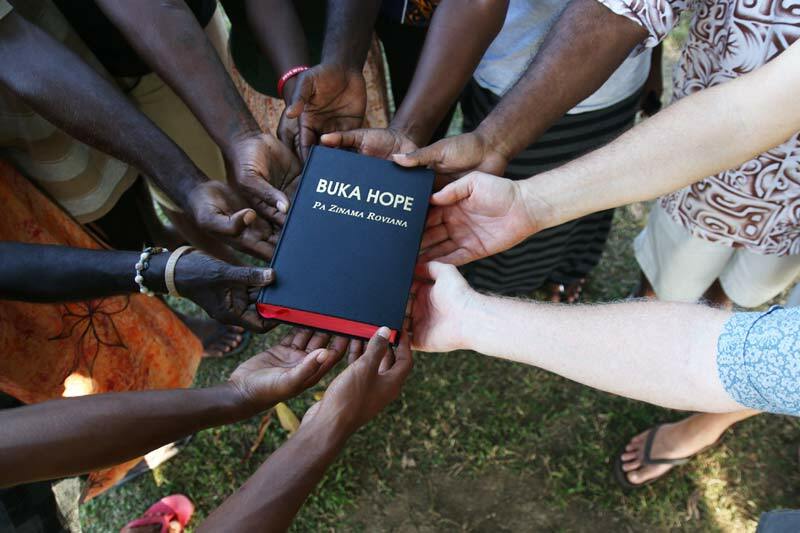 I am grateful to all for the investments that are moving Bible translation forward as we press toward our common goal — the start and completion of Bible translation in every community still needing God’s Word. As the world’s youngest country, South Sudan had a tumultuous start. It was born in 2011 out of one of the longest civil wars in recorded history. And as of 2017 it ranks highest on the Fragile States Index, meaning it is more vulnerable to conflict or collapse than any other state in the United Nations. This is where Pastor Bennett Marona calls home. Bennett speaks Baka, a minority language used by about 26,000 people. 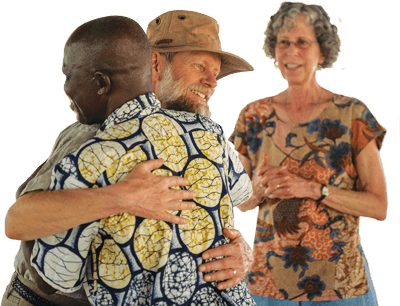 He got started in Bible translation in 1992, the same year Wycliffe linguists Doug and Anne Sampson joined the Baka New Testament translation project. Bennett Marona (left) works with Wycliffe linguist Doug Sampson on translation and literacy for the Baka language. The Baka project had actually begun years earlier with Wycliffe missionaries Kirk and Carla Parker doing literacy and translation work. But the project stalled due to increasing instability caused by Sudan’s second civil war. The Parkers returned home, and thousands of Sudanese, including Bennett’s family and the Baka community, were forced to evacuate to the Democratic Republic of the Congo (DRC, then called Zaire). Bennett remembers hastily gathering his family and fleeing into the bush with just the clothing they were wearing. Then one night about halfway to the DRC, while they were sleeping hidden in the bush, they heard gunshots. The crowds leapt up and ran, but Bennett heard a voice speak directly to him, telling him to take a different route. Later he learned that hundreds of those who’d gone the opposite way had run directly into the ambush and been killed. Again and again, God led Bennett through the rest of the journey this way. “Whatever direction I thought of going, we’d go there safely,” he said. 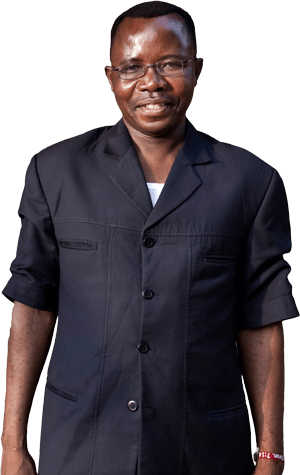 His family eventually settled into a refugee camp about eight miles outside the town of Dungu, in DRC, where the Sampsons were living. 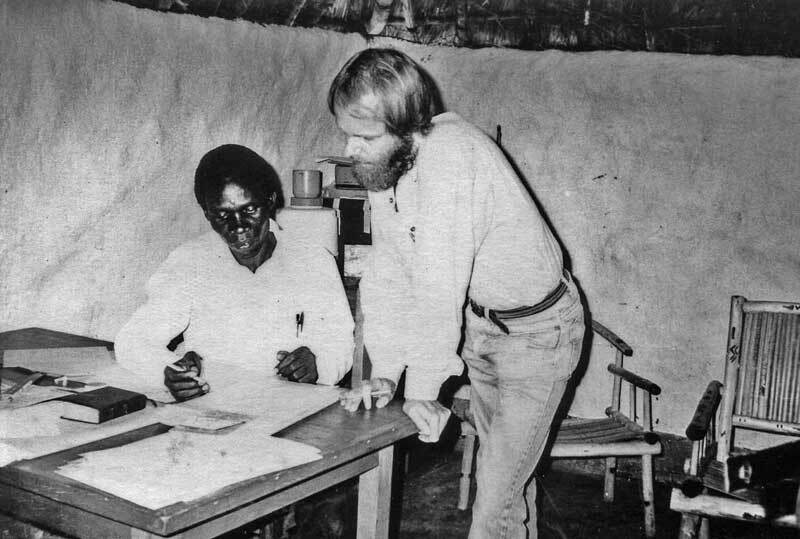 Bennett stayed in a small house in town to work on literacy and the Baka New Testament translation with Doug. Before long the soldiers based in Dungu were becoming angry because they hadn’t been paid in several months. They decided to loot the town, and started shooting in the market near the translation office. When the Sampsons opened the door, the soldiers and dozens of locals ran inside and looted the home, carrying off everything of value they could find. 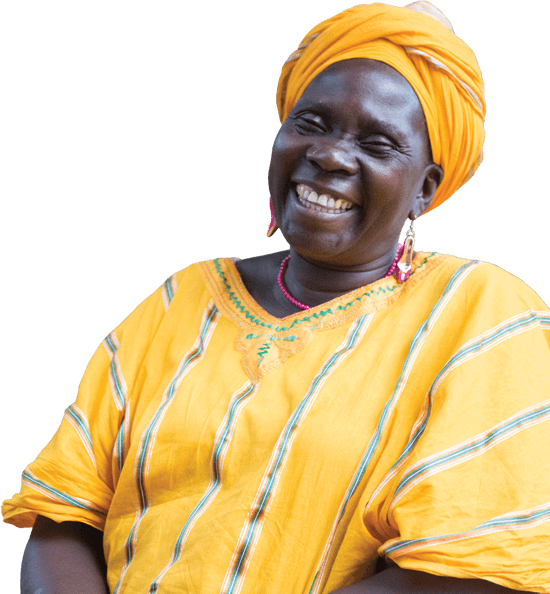 At one point when the war made it impossible for the the Sampsons to remain in the DRC, Bennett and a fellow Baka rode bicycles for two hundred miles to meet with them at a safer location in Uganda. Still, they kept the project moving forward. Then one day armed soldiers kidnapped Bennett from the translation office in DRC. He was one of nine held captive. One by one, each night the soldiers killed one of the prisoners with machetes. For eight nights in a row, Bennett witnessed this brutality and awaited his own fate, until he was the only prisoner left. At midnight, they came for him. “One of the soldiers said, ‘Pastor, come. The commanders are calling you,’” Bennett remembers. “I thought, ‘They’re going to kill me … just like they killed the others.’” But with no explanation, the soldiers let him go. Facing trial after trial, Bennett demonstrated his commitment to the task God called him to complete, his dedication to the Sampsons, and his willingness to sacrifice his life for their shared mission. Finally, in March 2017, Bennett’s prayer for the Bakas was answered. 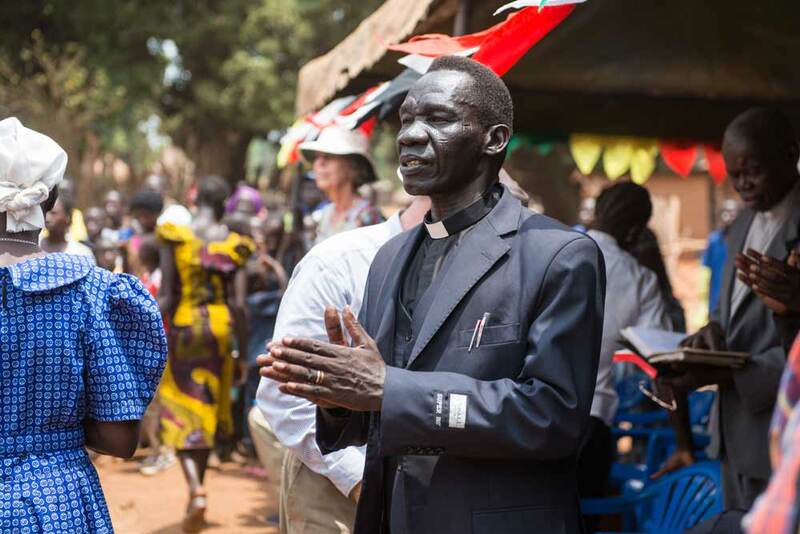 After more than 30 years of perseverance, thousands of Baka speakers came together to dance, sing and experience the Word of God in their language at the Baka New Testament dedication. 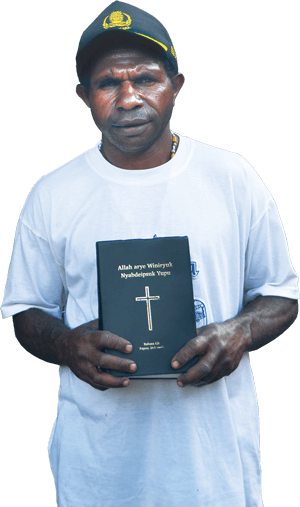 His favorite part of the day was when the boxes of New Testaments were opened, and hundreds of his fellow Bakas rushed forward to get their copies. God’s Word tells us to count it joy when you face trials, because this produces steadfastness (James 1:2). Bennett’s relationship with the Lord is deeper because he has remained steadfast in Bible translation. “Whenever I sit at the desk to do translation, it’s like I’m sitting with God at the same desk; we are facing one another,” he said. are spoken around the world. still need a Bible translation started.  involve Wycliffe Global Alliance partners. *Many sign languages are still being identified, so this number may increase. do not have the full Bible in their first language. do not have a single verse of Scripture. The Bible tells us that faith comes by hearing the Word of God. But sometimes hearing doesn’t happen in the ear. For as many as 70 million Deaf people around the world, “hearing” happens with the eyes. Because the Deaf are a minority, they are at a disadvantage when it comes to operating within a hearing culture. Unfortunately the Deaf have suffered a long history of misunderstanding and discrimination. It may surprise you to learn that sign languages are completely different than spoken or written languages. 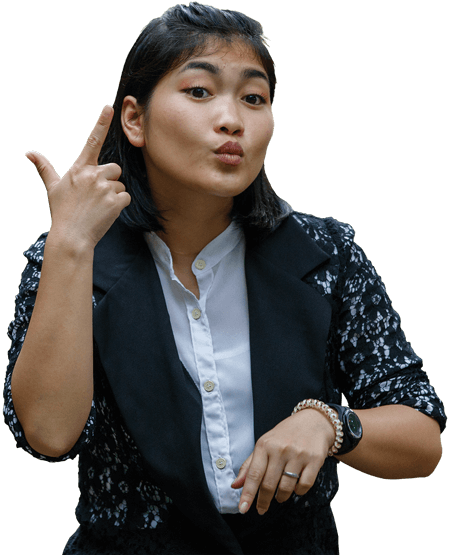 For example, despite the similarity in name, Thai Sign Language is nothing like spoken Thai. They are as different as English and Spanish. So for the Deaf to learn to read, they also have to learn a totally different language. You see, spoken languages work by lining up sounds in time — sound after sound after sound after sound. When we speak English, for example, we can add a bit of impact to our words by changing our intonation and adding facial expressions and hand movements, but we’re still limited to one word at a time. And when we have to write our words down, we’re even more limited because we lose those other elements. By comparison, sign languages are extremely dynamic. A person speaking a sign language uses every part of their body to communicate — hands, facial expressions, posture and body movement. It can be difficult for a Deaf person to learn to read a spoken language. For one thing, it’s not their language. For another, it’s just static symbols on a page — a totally different format than they use in everyday communication. If hardly any Deaf people can read and understand the Bible, how do Deaf churches form and grow? The troubling fact is that few do. In fact, just 2 percent of Deaf people around the world have been introduced to the gospel, and those who do follow Christ struggle greatly to grow in their faith. 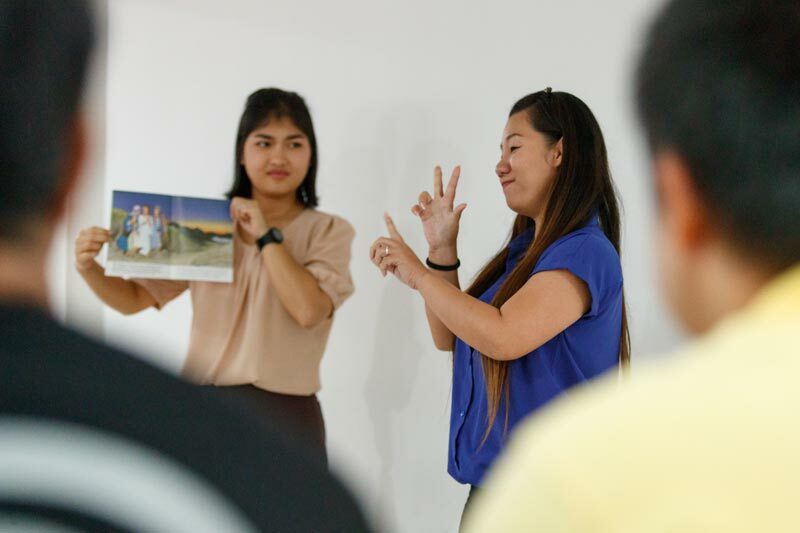 “It used to be that when I’d go to a Bible study, everybody would have their book in front of them,” said Mark Penner, a Bible translation consultant currently serving the Japanese Sign Language and Thai Sign Language projects. Mark originally went to Japan more than 30 years ago hoping to help the Deaf plant more churches and grow, but together they quickly discovered that church planting and growth weren’t going to succeed without the Scriptures in Japanese Sign Language. That’s when they decided to start a Bible translation, and that’s how Mark went from being a church planter to becoming a Bible translation consultant. It would not be an exaggeration to say that sign languages are the final frontier of Bible translation. There’s still much that linguists don’t know about the sign languages of the world. In fact, in a way we’re really just beginning to explore most of these languages for the first time. But one thing is clear — the need for Bible translation among the Deaf is great, much greater than we could have imagined just a few years ago. Today linguists estimate there are more than 400 sign languages in use around the world. But so far only 138 of those languages have been cataloged. Even among those sign languages that are known best, like Spanish Sign Language or American Sign Language, not one has a full Bible translation. And American Sign Language is the only one with a complete New Testament. If you ask Deaf translators who are currently involved in Scripture translation what their dreams are for the future, you’ll discover a common thread — they’re hungry for the Word and they desperately want to share the good news with their communities. 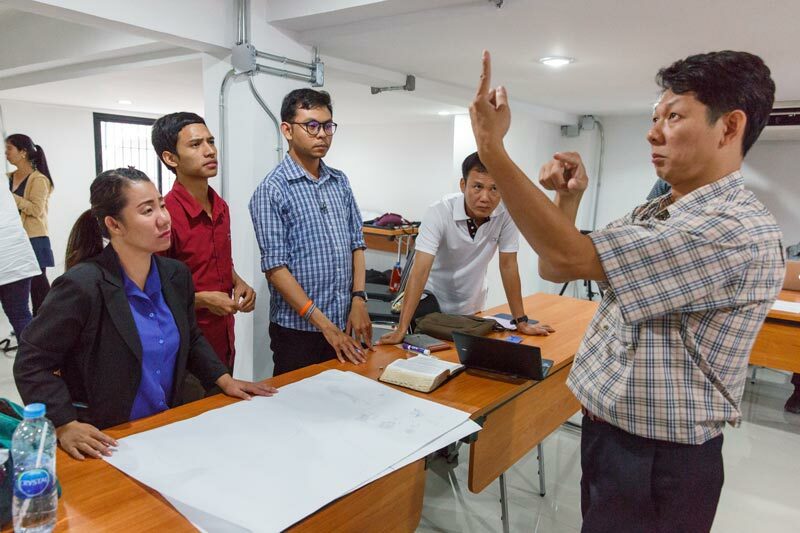 “My goal for the Scripture translation is to spread the Good News so that Deaf people don’t have to rely on the written word but can have it in their heart language,” said Pastraporn Sarakong, wife of Panuwat Manee and leader of the Chronological Bible Translation team, which translates Bible stories in Thai Sign Language. At the end of the day, that’s what all Bible translation work is about — leading people to faith in Jesus through the Word of God — whether it comes through their ears or through their eyes. So faith comes from hearing, that is, hearing the Good News about Christ . . . .
On May 23, 1902, Reverend John Goldie led a party of missionaries to bring the gospel to the Roviana people on New Georgia Island. These missionaries included many Pacific Islanders from places like Tonga, Fiji and Samoa. About a century before they traveled to the Solomon Islands, the gospel had come to those countries. As a result of hearing the Good News, people passionately went out to spread its message — including to the Roviana people. Exactly 115 years later, descendants of those who received the gospel in 1902 were in attendance for the dedication of the complete Roviana Bible! The United Church held a two-and-a-half-day celebration, because there was much to rejoice over! 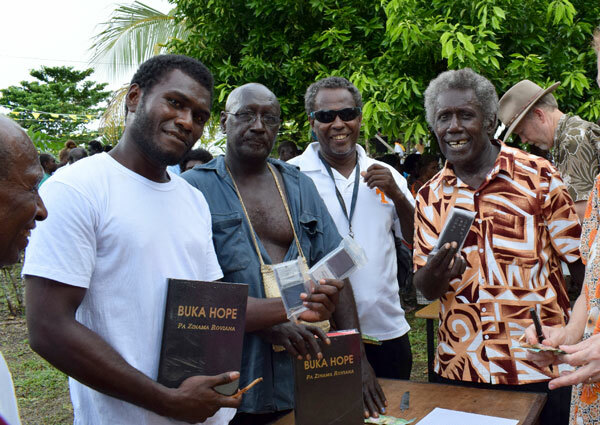 Not only were the people celebrating the 115th year of the gospel arriving to their island and the complete Roviana Bible, but they were also rejoicing over the launch of the audio New Testament in their language. Wycliffe USA Chief Operations Officer Russ Hersman attended the celebration and was in awe of the sheer amount of collaboration that took place between different organizations to bring God’s Word to the Roviana people. The Bible Society of the South Pacific was the publisher of the New Testament. SIL International and the Solomon Islands Translation Advisory Group (SITAG) were advisors on the project. Wycliffe USA and Seed Company contributed to the funding of the project at different points. Faith Comes By Hearing recorded the Bible. Youth With A Mission (YWAM) was also present for the dedication. There was a team of eight of them, and three of those eight were Roviana speakers themselves. They were at the dedication to help sell the Bibles. And they helped to take the Bibles and audio recording from village to village to distribute them. 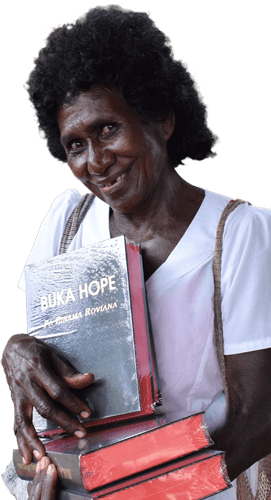 For many years, Roviana was the language of the United Church in the Solomon Islands. So not only will the Bible be put to use, but it’ll also be used as the source text for other translations in the region! “It’s cool to see the way this project has massive ripple effects,” Russ affirmed. The Roviana project is truly an example of what it looks like to be a part of the global Church. *The fiscal year for Wycliffe USA is from October 1, 2016 through September 30, 2017. 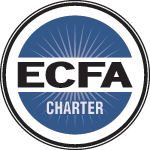 *Combined financials include the consolidated entities of Wycliffe Bible Translators, Inc., Wycliffe Foundation, Seed Company, and Moss Park Holdings, LLC. Wycliffe USA works in partnership with churches and organizations worldwide to effectively and efficiently accomplish Bible translation. Our full partner list is too long to include here, but we are incredibly grateful for everyone working to spread God’s Word. 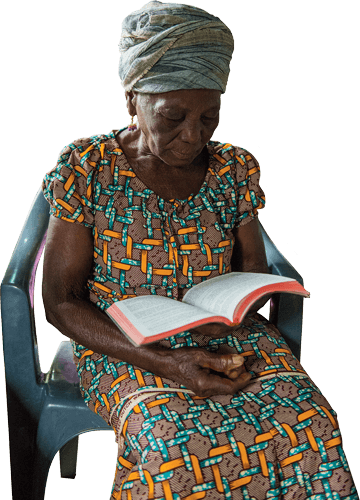 ©2017 Wycliffe Bible Translators. All rights reserved.